Origami Wash Bag . Materials: Printed canvas and metal charm. 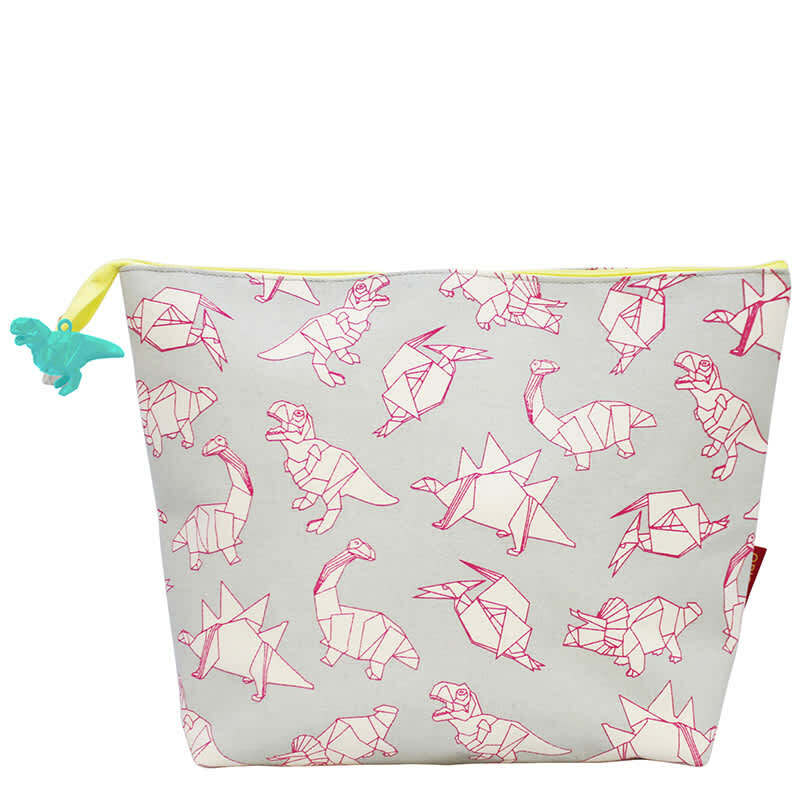 Features: Features a pink and white repeat print of our popular origami dinosaur friends, with a contrasting neon yellow zip and a turquoise metallic origami T-rex charm. Inside: Plain laminated interior. Material: Printed canvas and metal charm.